"One Tire - Four Lives" - Hämmerling - The Tyre Company GmbH presents itself under this motto at the IAA Commercial Vehicles. The focus is on the success story of their truck tyre ATHOS, which was offered on the market for the first time 10 years ago. The principle of the four lives describes the possibility after the purchase of a new ATHOS tyre, regrooving and retreading which can be carried out twice. This offers the customer a good price-performance ratio and maximum flexibility with regard to the selection and use of ATHOS truck tyres. Another added value is the ATHOS service network with which registered customers receive competent and fast assistance with all technical problems and punctures. Convince yourself of the diversity of the internationally operating company and become part of the ATHOS family. Hämmerling The Tyre Company GmbH is part of the Hämmerling Group , which is a network of various companies and service providers in the tyre- and logistics sector headquartered in Paderborn. This includes an international tyre wholesale, an own production of retreaded truck tyres, a shipping company with 200 vehicles and 6 locations in europe, a tyre- and automobile servicecenter as well as an IT-service provider and a marketing agency. Come to our stand B01 in hall 24 and look at our products! Whether by train, plane or with your own car - this is how you get to the fair fast and easy. 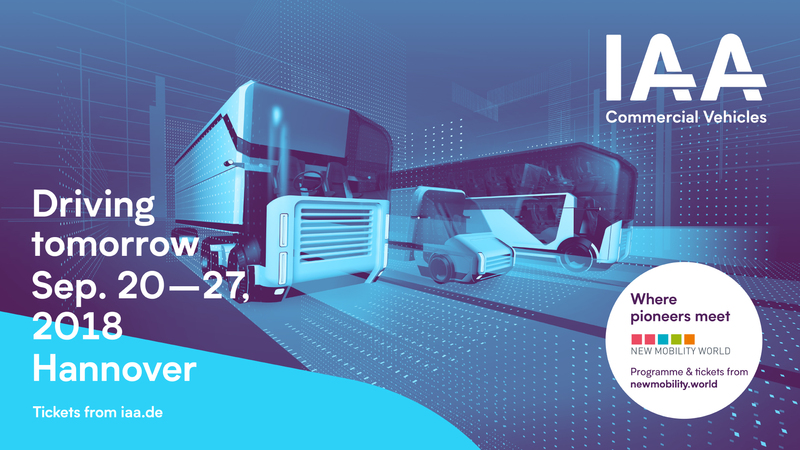 General information, events and campaigns for IAA Commercial Vehicles 2018 can be found in the visitor information.